Under MiFID II, positions that are held by, or on behalf of, non-financial entities which are objectively measurable as reducing risk, must not be counted towards the limits and netted against positions which are not considered to reduce risk. It must be highlighted that positions should not qualify as reducing risk simply because they have been included as part of a risk-reducing portfolio. However, this hedging exemption is subject to prior approval by the relevant competent authorities. Investors must apply for it before entering into a position. Non-financial entities from outside of the EU can apply for the same exemption in the same manner as EU firms. Detailed information on the hedging exemption under the new MIFiD II position limits framework can be found in the Regulatory Technical Standards (RTS 21), issued by the European Commission. The ISDA conference: "What does MiFID II mean for commodity market participants? ", held on 14th June 2017, gave industry experts an interesting perspective on the topic. 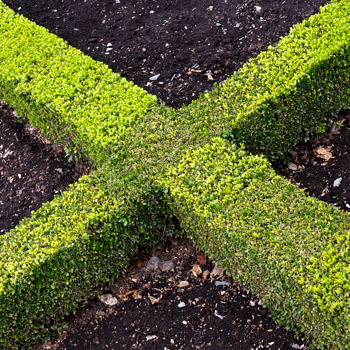 A clear message has been sent by the representatives of BaFiN, the AMF and the FCA: investment firms should apply for a hedging exemption only if they plan to cross the established position limits. Otherwise, it is just unnecessary paperwork for the regulators. The proposed notification forms for commodity derivatives position reporting suggest that investment firms should mark their positions as ‘H’ if they have a hedging exemption granted. However, they should only apply for it if they plan to cross the position limits. Effectively, the regulators will have a wrong idea of what the market is doing, because hedging positions that do not lead to crossing limits will not be marked as such. The industry justifiably expects more clarification on this matter. Our team is keeping an eye on this issue and will keep you posted on any clarifications published by the national regulators or ESMA. Fear not! To learn more about the new position limits set to be introduced by MiFID II, download our new whitepaper: ‘A Guide to MiFID II Position Limits: Monitoring, Reporting and Data Sourcing’.